Party Balloons For All Occasions can create a number of different table displays using latex or foil helium balloons. The most popular display is the 3-balloon bouquet. This is a cluster of 3 helium latex or foil balloons anchored with a weight of some sort. You can make-up a display with as many helium balloons as you wish. 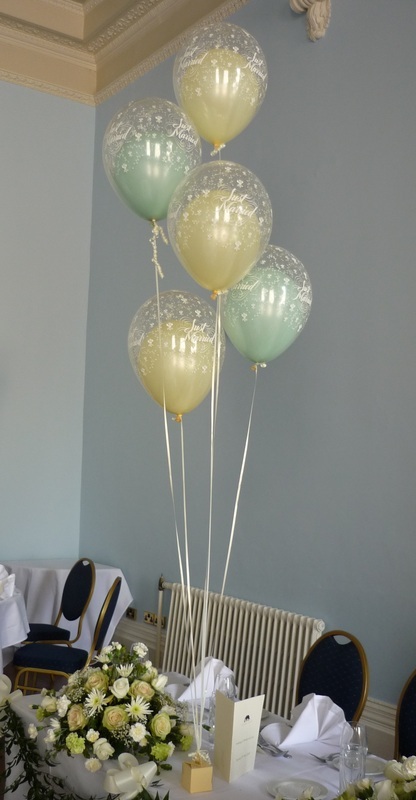 The helium balloons can be anchored-down in the centre of the table using a variety of different style of balloon weights. Air-Filled Table Design which stays good for days. Air-Filled Table Topiary which stays good for days. Helium-filled Table Bouquet with 5" balloons inside 16" latex balloon. Helium-filled 18" printed latex balloon with 4" air-filled cuff. Table Bouquet with Complementing Foil and Latex Balloons. Five-off helium balloon bouquet - double stuffed. 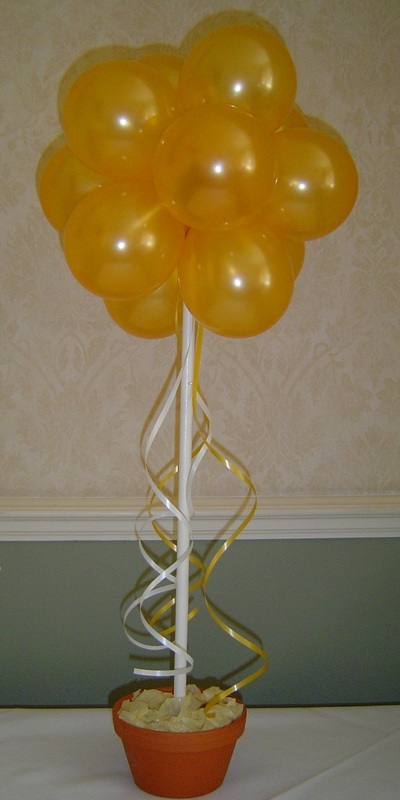 Another design of table bouquet with 16" top balloon stuffed with 4" balloons. 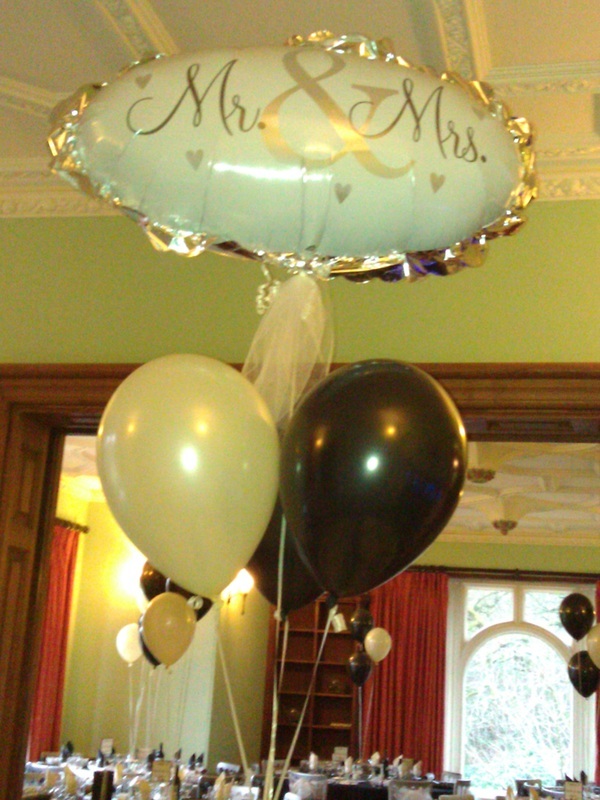 Mixed table bouquet consisting of foil and latex balloons.